CSAS Business License has greatly reduced the maintaining, collecting and printing of Business licenses. Outside of financial accounting and utility billing, there hasn’t been a solution that eliminates paperwork and redundacy in the municipal office like CSAS Business License. Complete customer data and history is easily accessible and maintained within the system. Keep track of pertinent data such as type of organization, Tax ID #’s, fiscal year and taxpayer’s trade name. Payment information such as license amount due, interest, penalty and date paid is easily generated and viewed through the CSAS Business License. 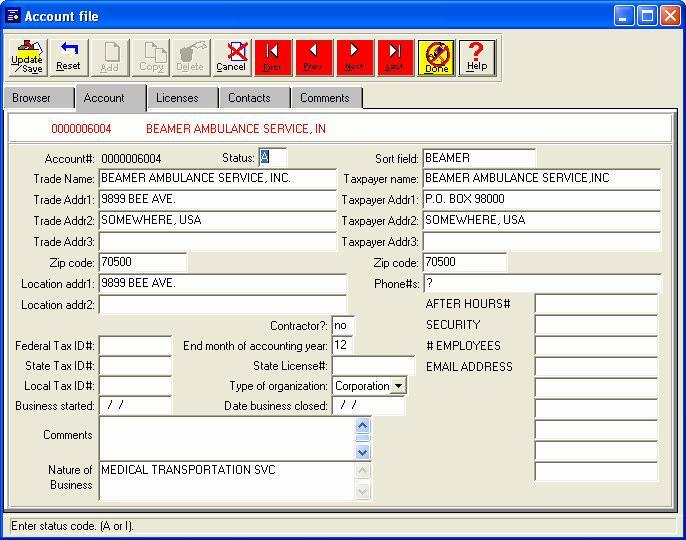 User reports give the operator the ability to print renewal letters, track past due renewal letters, determine licenses that are expiring and licenses that have not been renewed. 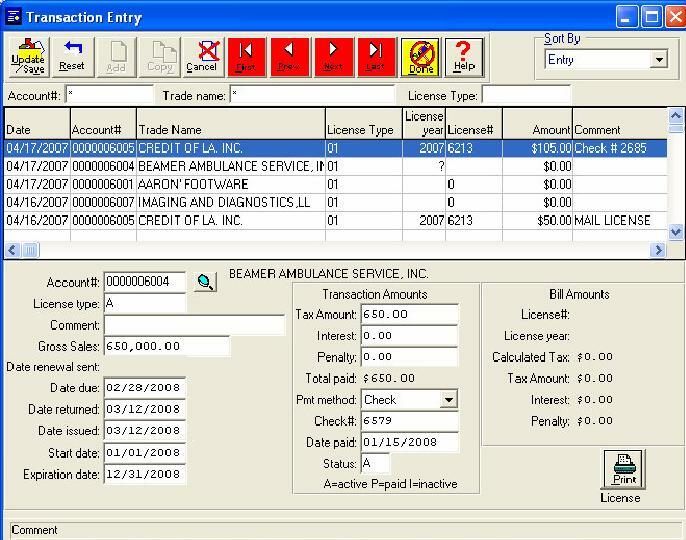 CSAS Business License offers a seamless integration to CSAS General Ledger making bookkeeping effortless. Several options are available as to what forms the municipality would like to print the Business license on. and defined by the operator. Provides on-line maintenance of licensee files.